Are you ready for a hero's journey? Rediscover a love of learning. We inspire each person who enters our doors to find a calling that will change the world. Acton Academy Phoenix joins a growing network of Acton Academy Schools worldwide that are building on the success of the original Acton Academy in Austin, Texas. Our learning approach keeps students at the center to direct their own learning and form understanding, while building a tight knit community. 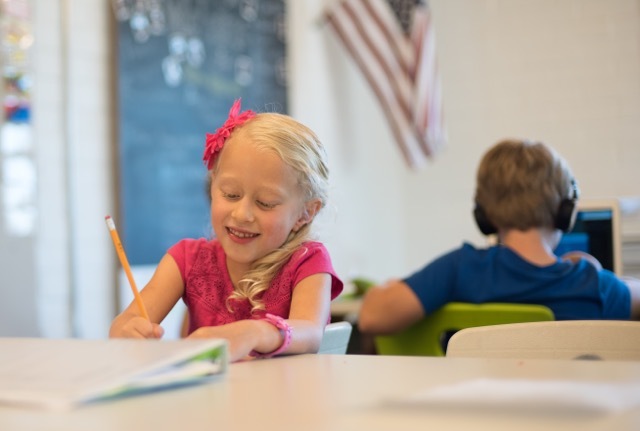 Within each multiage studio, a student engages in a hero's journey facilitated by a guide and supported by their peers. Our learning experience is personalized, engaging, and relevant for the 21st century. Self-paced mastery of reading, writing and math skills | Through deliberate practice and the latest in educational technology, students spend a period of the day working on their core academic skills. Our youngest students engage with hands-on learning resources to build a deep foundational understanding in literacy and math. Real world tools and skills | Through hands on project based quests, students build 21st century skills, including how to apply their core skills in useful ways. Critical thinking and powerful writing and speaking | Through deep socratic discussions about heroes, history, current events, and self-governance, students engage in critical thinking and build purposeful and effective communication skills. Authentic relationships | Through community promises and daily group conversations, students form a tightly bound community with their peers and guides. For the 2018-2019 school year, we are offering two studios. Primary Studio for children 4 to 6 years old. Inspired by Montessori principles, young learners explore their world through hands on projects, play based learning, and group conversation. Elementary Studio for children 7 to 11 years old. Young heroes find their life’s calling and tap into their unique genius. The learner’s educational experience ignites curiosity, creativity, and the ability to ask good questions. Watch these videos about how Acton is transforming education. See a glimpse of the Acton Children's Business Fair. Experience a day of real world skill building connected to our Entrepreneurship Quest.